The ease of travelling these days has brought many of us, not only get to enjoy the sights and sounds of unfamiliar distant places but we also get to take pleasure in savouring the authentic flavours and experience the food culture of other places. The idea of getting lost walking in the foreign city streets and get to savour the food on the side roads, meeting locals and making new friends along the way gets me so excited thinking – I need this experience marked off my bucket list real soon. 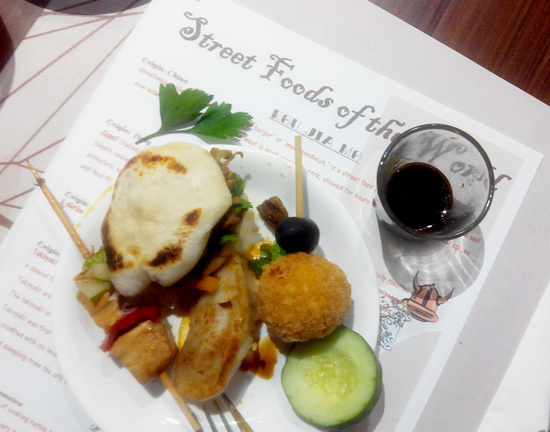 I also came to know that many of the street foods around the world aren’t just simple bite-ins one can pick and go, they’re a storied food tradition that dates back in time and an authentic celebration of a collective heritage of the place and I must say the rightful heart and soul of international cuisine. But sad as it may seem, a lot of us, that including myself, hasn’t gone savouring the world yet. Ohh universe, bring me to Mexico ora mismo, thinking about quesadillas, tamales, flautas, tacos, burritos right now. But you know what? I think I’m no total disappointment when it comes to finding awesome places where to experience the street flavours of the world. In fact, I know just a perfect food destination where we all can enjoy the street foods of the world without having to break in the bank for airfare. VIKINGS LUXURY BUFFET here in DAVAO will bring you the STREET FOODS OF THE WORLD this whole month of August. And again, you don’t need to travel the world, just a short trip down south to get the taste of the legendary street foods of the world. And call me one lucky famished soul I got to sample few of them. 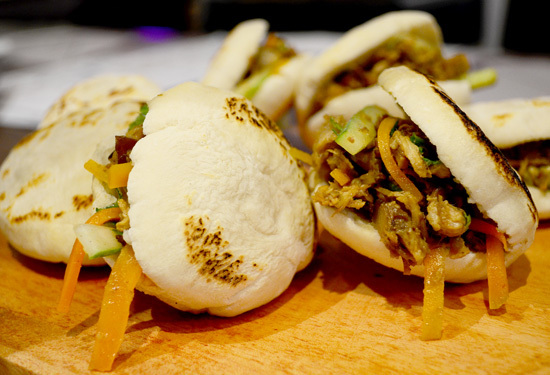 Rou jia mo (China). These meat burgers or Chinese hamburgers consist mainly of chopped pork meat and julienned veggies put in between a pita-like bun. I love its combo of flavours, it fits the Filipino tongue. And why wouldn’t it be? We’ve been eating Chinese food since time immemorial. They’re best eaten when the buns are still warm as they’re still soft and not overly chewy. You should try this! Suppli (Italy). Said to be one of Rome's best classic street foods. 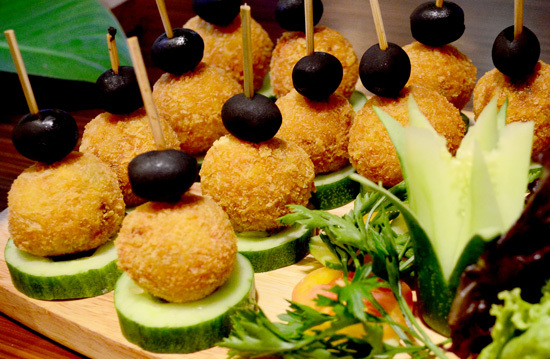 These balls are made mainly from rice; hence they’re commonly called Italian Rice Balls. There’s a mishmash of flavours in here – tomato sauce, egg, bits of meat and the mozzarella made these balls a stand-out. You shouldn’t miss this for the world. Durum (Turkey). Istanbul, the largest city of Turkey is constantly written by world’s notorious foodies to have one of the best street foods in the world and Durum is, without a doubt considered to be one of their street staples. The stuffing of Viking’s version is mainly beef with hearty helpings of spices and veggies. 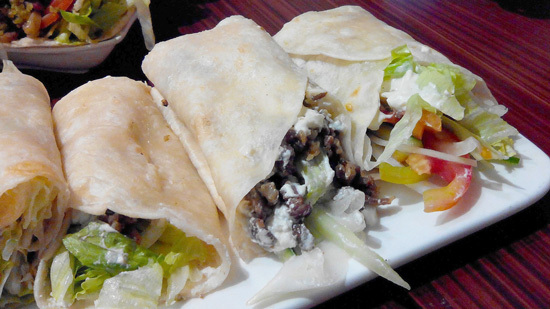 The easy-going taste of this handy food made it very Pinoy-tongue friendly. I suggest you take this slow; the pita wrap can be very filling as it comes in a generous portion. Make room for more up ahead. 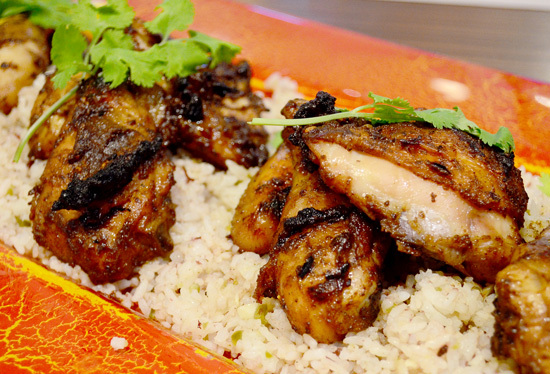 Jerk Chicken (Jamaica). Whatever the story behind, how ever this is made, one thing is certain – I can thrive in the streets of Jamaica and the Caribbean with Jerk Chicken alone. This moist, fragrant, all-spiced and warm piece of a fowl is really good. The accompanying rice in mild fusion of spices and herbs perfectly hit it home. Full meal! Tacos Al Pastor (Mexico). I’m a fan of Mexican food; they’re unpretentious and superbly tasty. 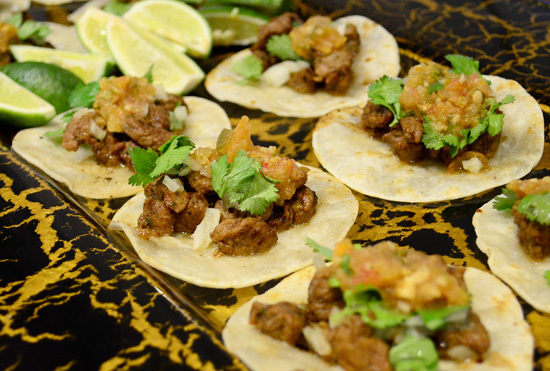 This particular dish is made out of thin bits of pork with Mexican flair of spices and herbs laid on a limp tortilla. Two swift bites and I am one happy diner, recommended pick! 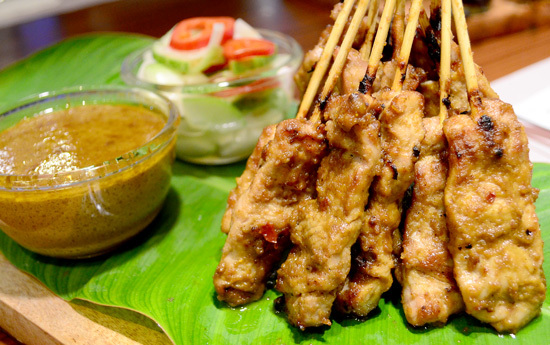 Pork Satay (Indonesia). More like our afternoon street barbeque only that it comes with a peanut sauce. So if you want something out of your usual ketchup/toyo-based bbq sauce, then this is a satisfying pick! Espetinho (Brazil). Usually this comes in a variety of grillable raw food - pork, spiced beef, chicken, some even hotdogs, shrimps etc. The meat is threaded all together in a little skewer and is cooked over a griller. 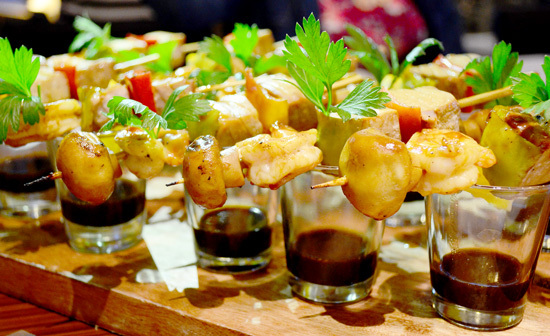 The ones that we sampled were pork with mushrooms and peppers neatly corded on a skewer. I would say that Vikings version looks like a little posh than the actual though, with the sauce in a jigger, but this is the closet to real it can get. Taste good to me! You should experience Brazil, pick a stick! Crepe (France). Probably one of the most versatile street foods I’ve ever known. 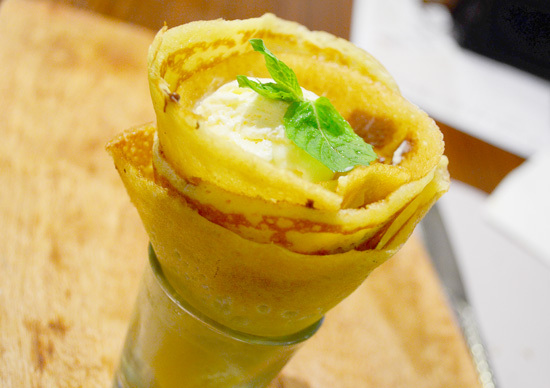 Crepes can be with anything you want – Nuttela, choco syrups, jams, fresh fruits, etc. – your choice. And we got ice cream on our crepe, sweet! Just a perfect dish to finish-off an awesome Viking’s street food experience. You shouldn’t miss this food experience for the world. See you at Viking’s this August. and lunch/dinner on weekends for the whole month of August.